The Film was downloaded 5000 times in one day! 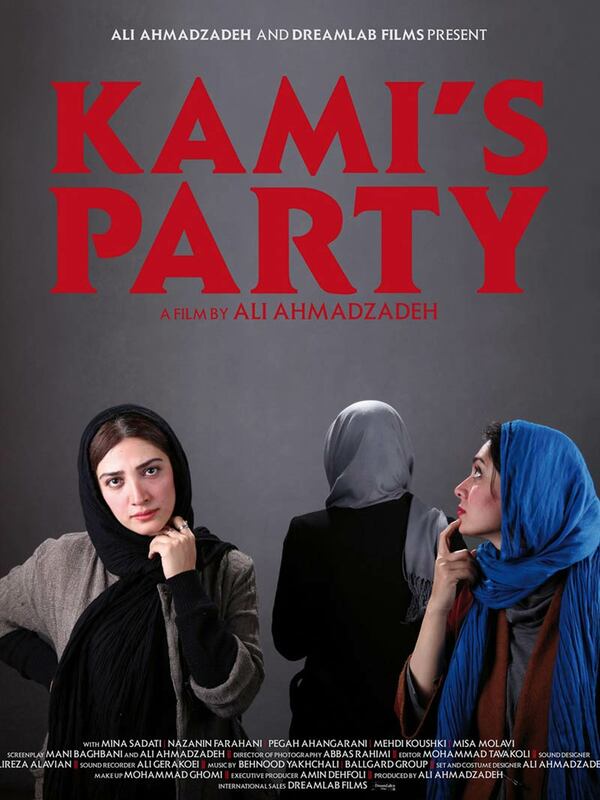 "Kami's Party" which had its world premiere at Black Nights Film Festival 2013, Cologne Film Festival 26-29 May 2016, and received the best film award at the 3rd Prague Iranian Film Festival, Czech Republic 2014, did not get the required permission to go on screen in his homeland. Protesting against the banning Ali Ahmadzadeh put a copy of his film on the internet for free download and asked those who downloaded it and were eager to pay, to donate the money to the Children's Charity Refaah. In a note to his audience Ali Ahmadzadeh wrote nobody received any salary for this film, but they will share in this act of charity together with you and your participation. Negin is spending a few days on holiday with her boyfriend Omid and her sister Nazanin in a villa on the banks of the Caspian Sea. Not having had news of Omid for several hours Negin decides to go with her friend Farnaz to a party being held by Kami, a common friend. The two young women drive off to Lavassan, a small district on the outskirts of Tehran, where the party is taking place. Negin doesn't realize, however, that a surprise awaits her in the trunk of the car. Kami's Party attempts to depict the relationships between young members of today's Iranian upper class which, for reasons unknown, have never been depicted in any other Iranian film. The movie does not judge its characters nor make any ideological statement, rather it tries to portray the everyday concerns of upper class young people. Seeing as certain explicit scenes cannot be shown in Iranian cinema, the road movie genre seemed to be the best way of both overcoming the problem and of tackling some of the issues raised regarding the lives of the characters in the film.